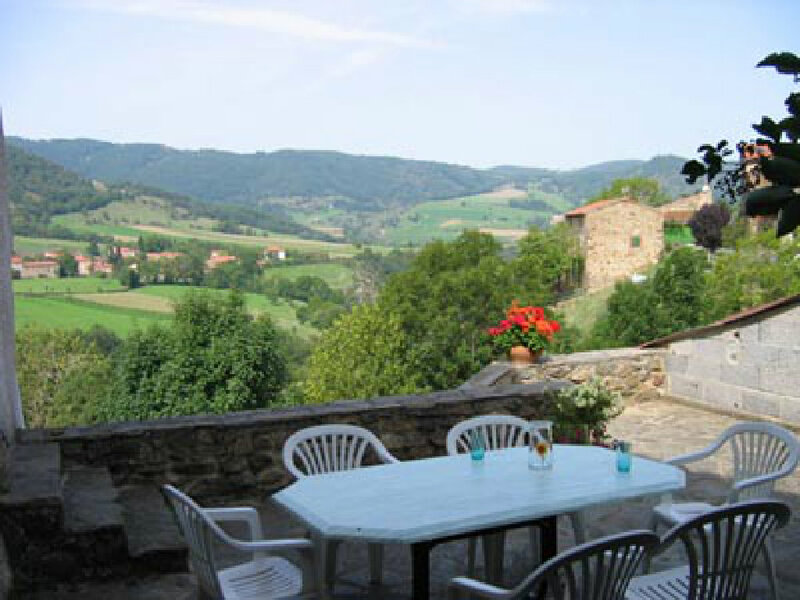 "Fantastic", "Beautiful location", "Fabulous spot", "Really lovely gite"..... These are just some of the superlatives used by visitors at the end of their stay in Lou Coucaye. In short, everyone loves staying in this gîte in a beautiful undiscovered valley, a listed natural heritage area in central southern France, a magnificent location where there is also so much to do, from walking, swimming and biking, to kayaking or fishing, bird-watching or botany, or visiting the historic local towns and markets, and the rich cultural heritage (mediaeval churches with frescoes, castles, a Roman mine with underground tour, historic windmills, a scenic railway, plus so much more). 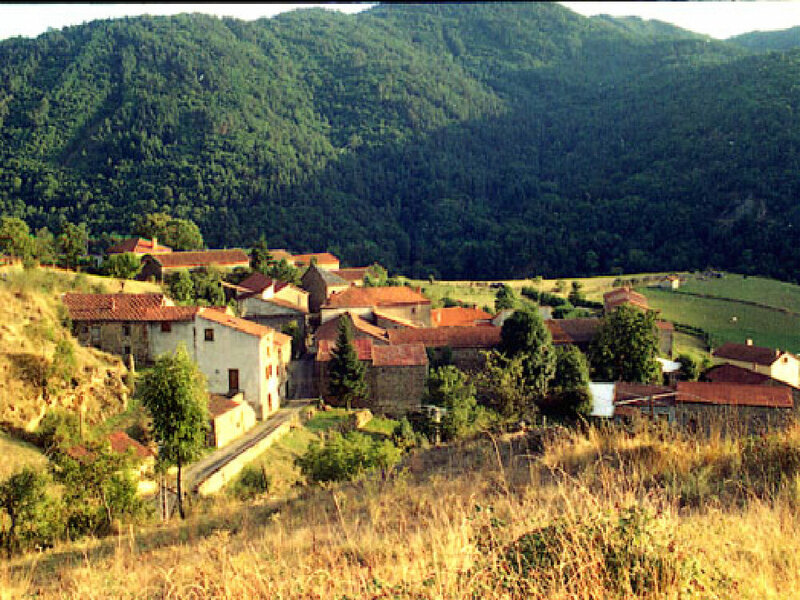 The "Brivadois" is one of the drier parts of France, with 2200 hours of sunshine a year, and is also an area where there is plenty to do even on a rainy day. The "Haut Allier" is one of just 41 rural "Art and heritage areas" (Pays d'art et d'histoire) in France; in July and August, there is an extensive programme of evening concerts in the historic churches and chapels of the Haut Allier. 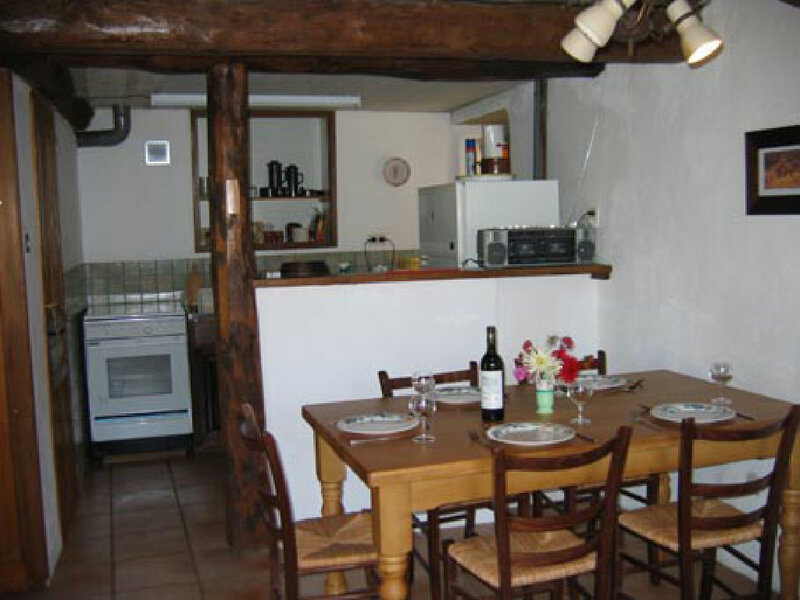 This tastefully restored farm cottage gîte is in a small and friendly hamlet in the rural area of Saint Ilpize, in the heart Auvergne's beautiful Haut-Allier valley, 90 km. south of Clermont Ferrand. 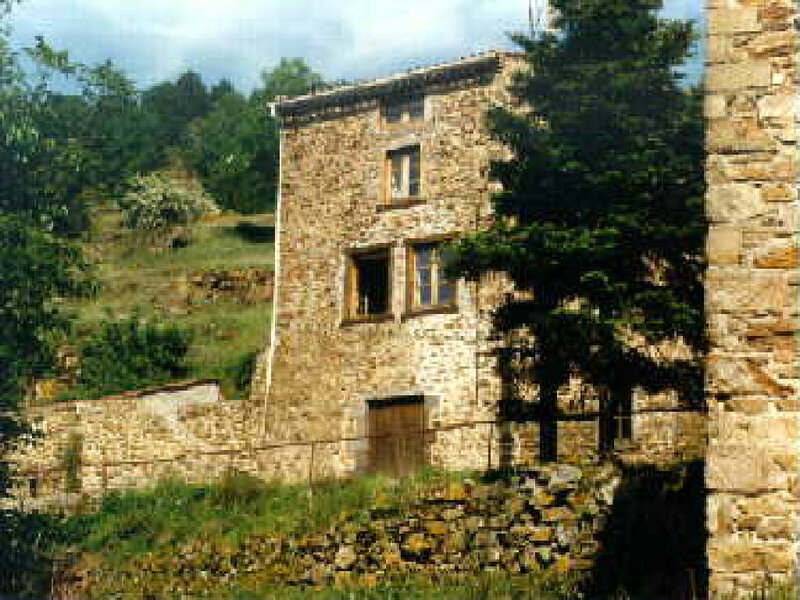 The stone-built gite has been carefully and attractively restored. The hillside behind (starting just behind the house) (map) is a class 1 nature reserve (ZNIEFF type 1 - French equivalent of a class 1 SSSI) . The area is a haven for nature lovers, with its wealth of wildlife - birds, mammals and plants - including eagles, deer and even small wild prickly-pear cacti. And the valley still has some of the old terraced vineyards that made it famous in past centuries. A short walk from the village is a small heritage vineyard, conserving many old varieties of vine, and just beyond it the impressive mediaeval castle of St. Ilpize. Chazieux is at the end of the road, and there is hardly any vehicle traffic in the village. The only traffic jams occur when the road is taken up by a flock of sheep. Guests at Lou Coucaye are welcomed with fresh flowers and maybe also fresh vegetables from the garden. Ground floor: a spacious living area with dining table for six, and comfortable chairs, under a beamed ceiling. 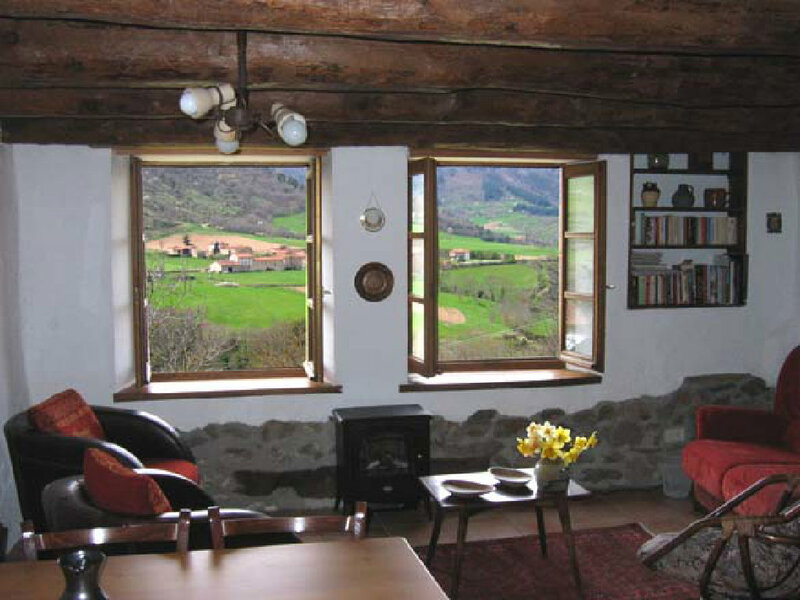 The two windows look out over the valley, with views down to the river and up to the hilltops opposite. There is a semi-enclosed kitchen area with gas cooker, fridge-freezer, microwave, top-loading washing machine and cupboards. There is also a toilet with wash-basin, and a cloakroom under the stairs. The front door gives onto a large stone paved terrace, just visible in the top picture, with views over the valley and up the hillside behind. This area tends to become the main living space for visitors during the summer months. Throughout the summer, it offers sunshine and shade. There is adequate shade in the heat of the day, but the full terrace, facing west, catches the early evening sunshine. The first floor contains the main bedroom (pine floor with rugs): one double bed, built in wardrobe; the window looks out over the valley. The adjoining bathroom has a full-size bath with shower, plus second toilet and washbasin. Second floor: has two bedrooms, one with a double bed, the other, under a sloping wood panelled ceiling, with two single beds. The double-bedded room has windows facing up and down the valley; the single bedded-room, has a secured floor-level window with views down to the river, and a skylight. This room, with its selection of toys and games, is ideal for children, but suitable for adults too. Both second-floor rooms have fitted carpets. All bedrooms have curtains, not shutters. A radio and cassette player. 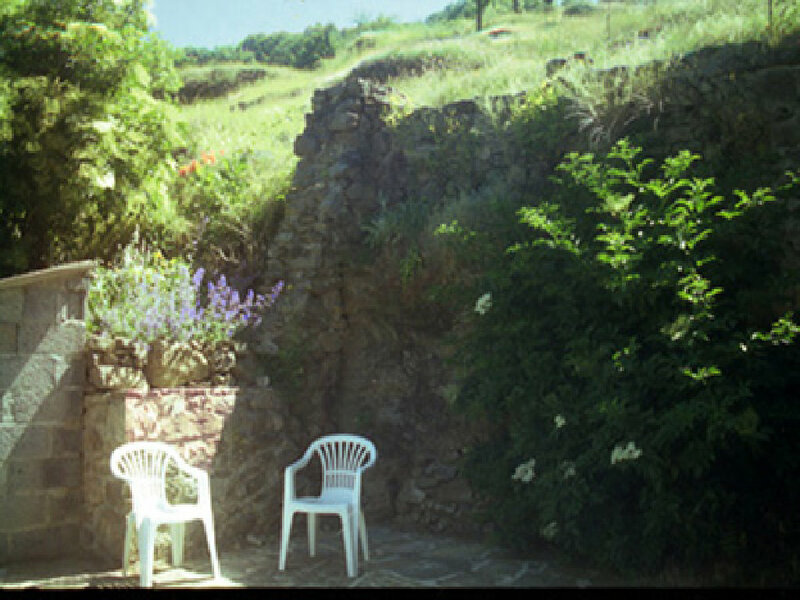 There is generally mobile phone reception in the gite, or (for some phones) outside. Road access: about 8 hours drive from the Channel ports, 5 hrs from Paris, 8 hrs from Strasbourg. Air access: Closest airports with direct UK flights: Clermont-Ferrand (1h - Flybe), Rodez (2h30 - Ryanair) , Lyon St Exupéry (3h - Easyjet) . In the beautiful Haut Allier valley in the heart of the Auvergne. 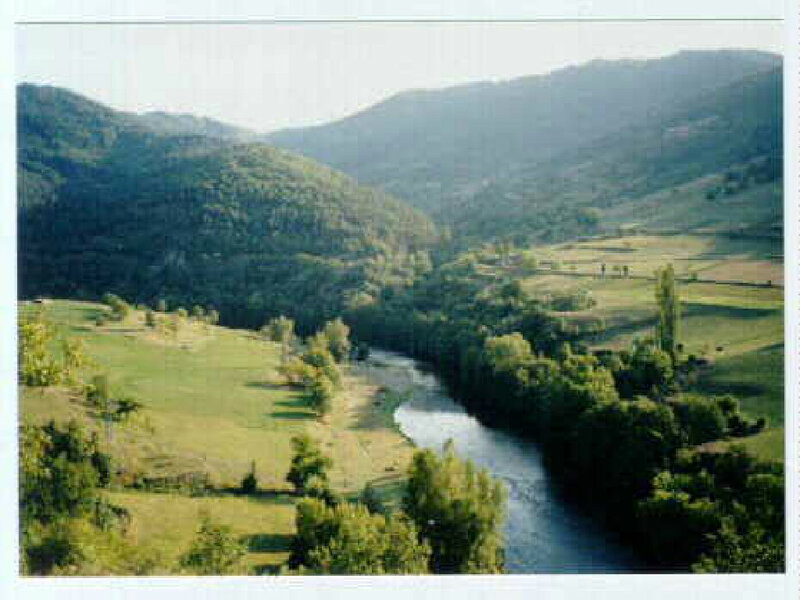 Calm, beautiful scenery all round; river sports, excellent river swimming, hiking, biking. Lou Coucaye is at an altitude of exactly 500 metres. The area is ideal for: nature lovers, ramblers, mountain-bikers, kayakers, ornithologists. 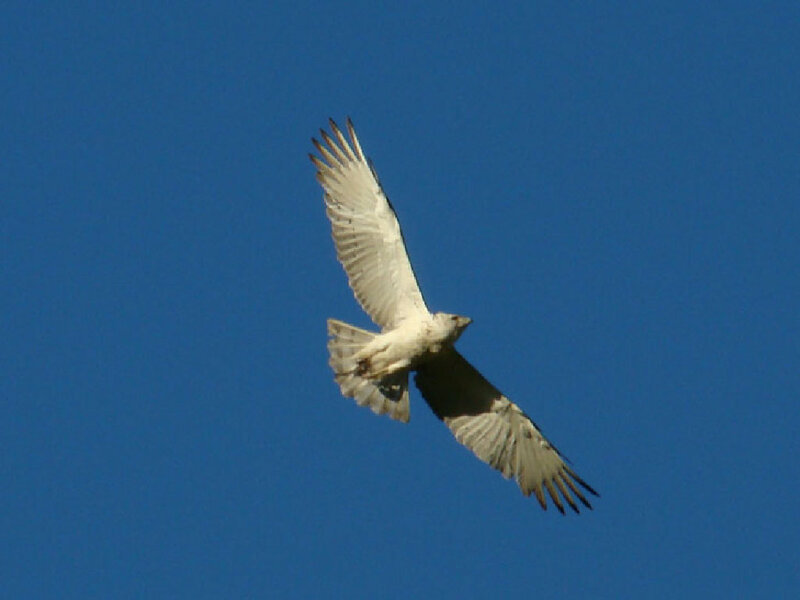 You may see kingfishers, kites, herons, maybe hoopooes, and hear nightingales. The area is famed for its population of short-toed eagles which nest on the hill behind the village. The river is popular with anglers (fly or coarse fishing), and the area abounds in historic monuments. All bookings Saturday to Saturday unless otherwise indicated. 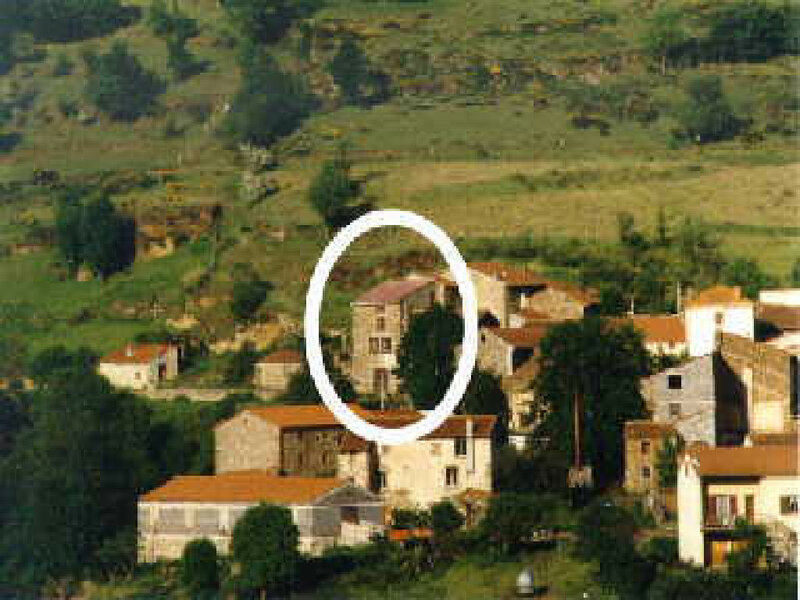 The gîte is available from 4 p.m. on the day of arrival and must be vacated by 11 a.m. on the day of departure.